For the selective differentiation of salmonella spp. from other pathogenic enterobacteriaceae from food and clinical specimens. Gram-positive bacteria are inhibited by bile salts, citrate. Salmonella spp. will grow as magenta colonies, Enterobacter spp. will grow as deep blue colonies. Add 31,7 grams of dehydrated culture medium to 1 liter of distilled water, and allow to soak for 10 minutes. Swirl to mix, then bring to the boil and autoclave at 121 C for 15 minutes. Dry the surface before incubation. Ready to use medium: straw coloured agar, clear to very slightly opalescent. 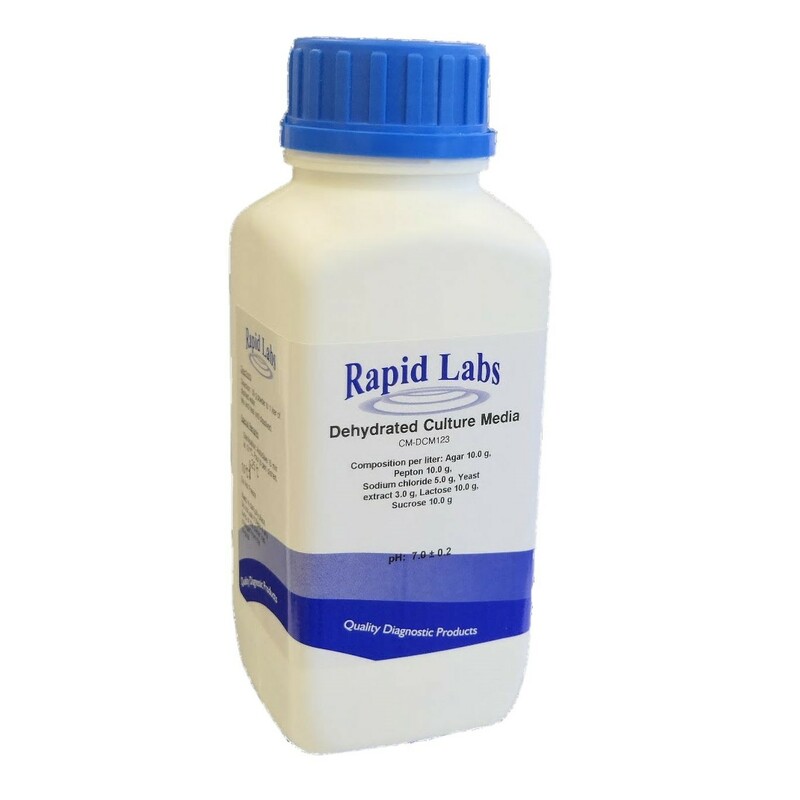 Dehydrated medium should be stored between 10 to 25oC. Once opened, place the container in a dark, dry place. The dehydrated medium should not be used if there is any lump or if color has changed from the original.